Flat Rubber Splash Guards are constructed of ultra-thick rubber to provide maximum protection and great style. Sold in pairs and feature vehicle logo. 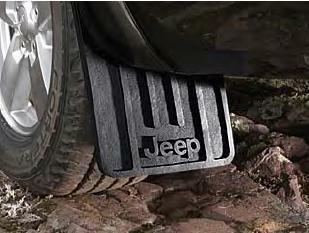 Black with Jeep logo. Set of 2. Rear. Please select type above.